That’s the message from his trainer, Ross Paynter, after the six-year-old won a stirring stretch battle with Massive Metro on mile night at Alexandra Park Friday night. 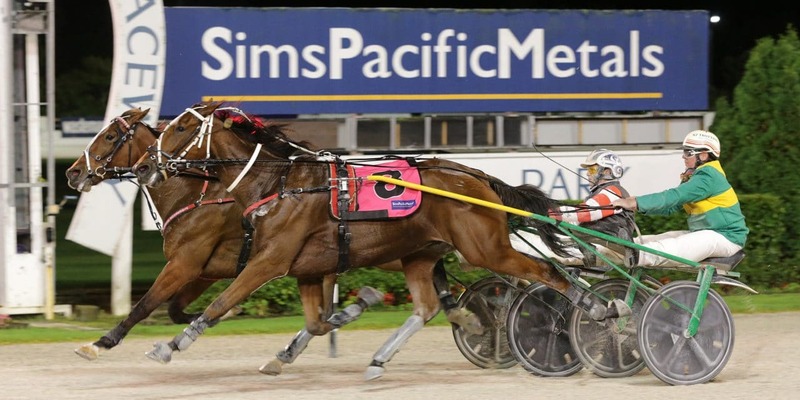 Viewers were treated to an enthralling match race between the two Group 1 winners, who raced nine lengths clear of their opponents in the $25,000 open trot. With all the focus for the upcoming Anzac and Rowe Cups being on the potential battle between ‘the big three’ Marcoola, Speeding Spur and Monbet, Paynter said his horse, a two-time New Zealand record holder, deserved to be mentioned, too. “People don’t give anywhere near the credit he deserves, this horse. “In the last year, he was third in the Dominion, fourth in the Rowe Cup and won the Anzac Cup. The problem, Paynter says, is ongoing issues with soundness that have seen Lemond raced more sparingly this season. So much so, and quite interestingly with a view to the upcoming Group 1s, that played a part in his preparation for mile night this week. “He was quite short for this run, actually, so there will be a lot of improvement in him. “He’d only had the one workout and he galloped out of it. “The biggest thing for him is staying sound. “We’ve had a lot of problems with him; nothing major, just lots of little niggles. One of the main issues, Paynter says, is that the horse can’t really be worked on the hard surface at his home track in Cambridge. The landscape for the $100,000 Anzac Cup in a fortnight, and the $150,000 Rowe Cup a week later, will become a little clearer after Sunday’s Rangiora meeting. It is there that Marcoola will try and get his season back on track after a disappointing resuming effort at Addington last week in the Group 1 New Zealand Trotting Champs, won by Speeding Spur. The latter will be back in Auckland for the features, while question marks remain over 2017 Rowe Cup winner Temporale, who suffered an atrial fibrillation at the workouts last weekend, and former star trotter Monbet, who was pulled from the nominations for Rangiora. The two-hour trip home was even better for Paynter having trained the quinella in the $20,000 R49-53 trot earlier in the night. Anditover defeated Molly Bones, a maiden racing out of her grade, by a nose, franking the opinion their trainer holds of the three-year-olds. It was a night of close finishes at the home of racing in the north, Benson Boys and Jack’s Shadow dead-heating in the R56-64 pace while On The Cards was a narrow victor over his stablemate, Mach Shard, in the night’s $25,000 feature pace, run in 1.54.0.